Gift-giving at the winter solstice goes back to the Roman festivals of Saturnalia and Kalends. At first the gifts consisted simply of twigs from a sacred grove as good luck emblems. That soon escalated, however, and food, candles, statues of gods, and small pieces of jewelry became the standard gifts. These presents were called strenae and survive still in France, where gifts called etrennes are exchanged in January. To the early Church, gift-giving at this time was a pagan holdover and therefore, severely frowned upon. However, the people would not part with it, and some justification was found in the gift-giving of the Magi and later figures such as St. Nicholas. So by the Middle Ages, gift-giving was accepted. This was especially true in the court of kings, where a formal exchange of gifts was often very carefully regulated as to the correct amount to be spent. 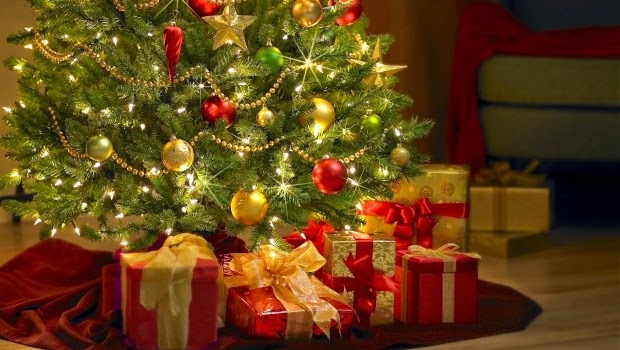 Today, gift-giving is such an important part of our festivities that the whole year's budget has to be carefully planned to allow for the expense of Christmas presents, often with the help of a Christmas club, and retail firms count on December as their biggest sales month of the year. That's a far step from passing out a few evergreen wigs for good luck.